The peace conference at Lawrence did not get off to the best of starts. As soon as Charles Robinson, James Lane, and Wilson Shannon exchanged pleasantries their disagreements came to the fore. Shannon wanted the Sharpe’s rifles and other weaponry that the free state men had received from abroad. He argued, quite reasonably, that these arms really amounted to company property rather than the private possessions of individuals who paid a mere pittance against their true value. Shannon soon, however, came to appreciate that he would get few guns and insisting would only bring on the conflict that he wanted to avoid. I therefore merely suggested to the committee that they should surrender their arms to Major General Richardson, and I would direct that officer to receipt for the weapons so received; it being understood that in the event of their so doing, the arms thus receipted for, should be restored, when, in the opinion of the chief executive, it could be done with propriety; or, if they preferred it, they might, in the same manner surrender, them to me. 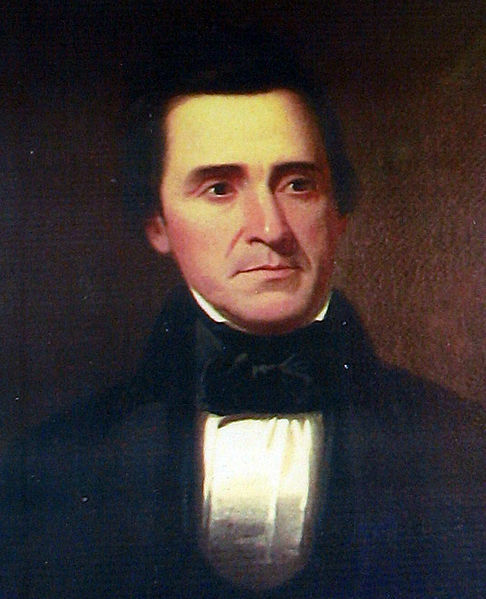 Shannon proposed that the free state party, in the presence of a hostile army, surrender their means of defense to one of that army’s leaders and a member of the Blue Lodges. Perhaps he didn’t know about Richardson’s Lodge affiliation, but enough people knew in Kansas by the next summer that the Howard Committee summoned him to testify on the matter. He proposed this in the full knowledge that he had at best incomplete control over the proslavery army and at least a reasonable suspicion that the besiegers of Lawrence might take matters into their own hands and raze the place. Yet Shannon apparently made the proposal in earnest. He and Richardson saw eye to eye on the weapons issue. The Governor explained to Brewerton that he intended to use the disarmament as cause to disband the forces arrayed against Lawrence. So far as it went, that made perfect sense. 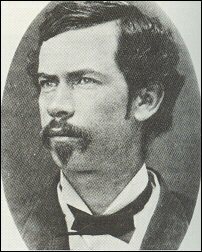 The Missourians and others came infuriated initially by the armed defiance of Sheriff Samuel Jones and once engaged maintained their wrath against armed antislavery men in general. Disarming the lot of Lawrence would surely please them, possibly enough for most to go home happy that smaller groups in the future could finish the work of destroying the movement. by his folly and wickedness. He had hoped that the troops would enable him to retain his authority, hold the ruffians in check, and still crush the free-state men beneath his feet. The troops would not come to his aid, and the border ruffians, now that he had clothed them with authority, despised him, and determined to carry out their bloody purpose independent of his authority. He had no resource left but the free-state settlers, whom he had abused, and still desired to abuse and crush. But he was not prepared for the border ruffian measures, neither was he willing to shoulder the responsibility he was likely to incur. The governor is a gray-haired man, tall and well-proportioned. He has coarse features and a hard-looking face, generally. Nature must bear part of the blame, but the weather and bad whiskey, doubtless, come in for share. However, mild eyes and a good heighth of forehead show that naturally he is not a cruel man; but his head lacks firmness, as we speak phrenologically, and his course here, as well as elsewhere, is evidence that he is vacillating, weak, ill-suited to be the leader of other men; that he is credulous, and easily made a tool in the hands of base men; that in brief he is the exponent of the purposes and actions of the men, or party, with whom he is most thrown in contact. Wilson Shannon had a lot on his mind when he rode into Lawrence on the morning of December 7, 1855. If he had any control of the proslavery army besieging the town at all, then it might soon pass. Rumors flew that the black flag would go up and the Missourians and their Kansas auxiliaries would descend upon the free state headquarters without mercy. 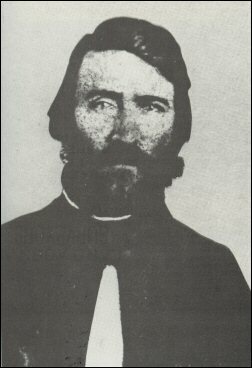 When he came back from meeting with the free state leaders, he would learn that some of the proslavery militants plotted to intercept his messages to keep the United States Army from stopping the fun and possibly seizing arms that the Missourians had taken from a federal arsenal before they embarked on their Kansas adventure. Troubles or no, Shannon came into Lawrence. There he saw the body of Thomas Barber before conferring with the free state leadership. The full Committee of Safety received Shannon and Albert Boone, then the two went off with Charles Robinson and James Lane for a private meeting. Then one party or the other, depending on whether one believes Shannon or Robinson, essentially gave up the substantive parts of their politics in the name of peace. Most likely neither did, but both made some effort at conciliation. Sheriff Jones and his militants wanted the wreck of Lawrence, but Shannon, Boone, Robinson, and Lane alike preferred otherwise. I satisfied myself, however, that there was then no person in the town against whom writs had been caused to issue, as the parties had left the place several days before. 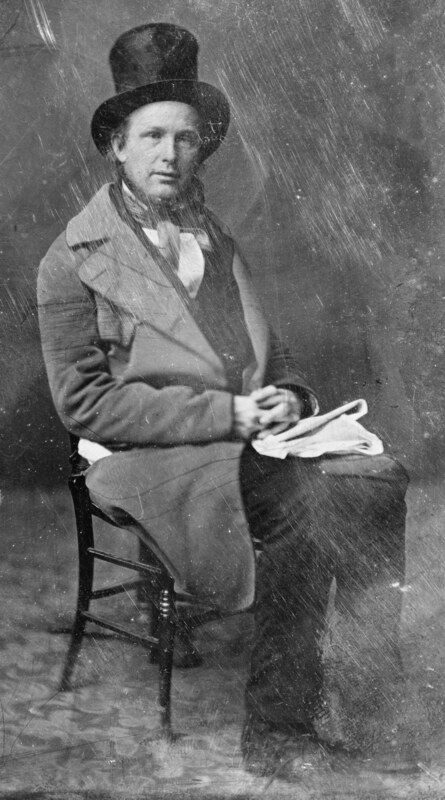 I then, moved by the consideration of the fearful danger in which their people stood, stated to them that so far as I was concerned, as the chief executive of the Territory, the arrangements which they appeared willing to enter into in good faith would be satisfactory to me; that my sole purpose was to secure a faithful execution of the laws; that I asked nothing more, and that object obtained, I should at once disband the posse. I explained to them the difficulty of prevailing upon the highly-incensed forces then surrounding Lawrence to retire without attacking the place or demanding the surrender of the Sharpe’s rifles and revolvers, with which they were well known to be armed. I added, moreover, that the idea was universally prevalent, both in the Lecompton and Wakarusa camps, that these weapons had been furnished from the East for the purpose of resisting the execution of the Territorial laws of Kansas and making her a free State. The committee declared that these weapons had neither been procured nor distributed for any such end, but simply to defend the ballot-box from invasion. Yet it cannot be denied that they admitted to me that these arms were forwarded in boxes from the East, having been written for by General Robinson for the purpose aforesaid. each man who received a Sharpe’s rifle paid something as an equivalent; but, from what has transpired, it is my believe that the amount so paid bore no proportion to the real cost or value of the arms; in fact, it is currently reported that the sum paid for these Sharpe’s rifles by their receivers did not average over three dollars per man. Shannon did the math. Citing an estimate that 1,200 Sharpe’s rifles now called Kansas home and the price at $30 each, the arsenal ought to cost $36,000. If the free state militants really paid about $3 each, as the rumor said, then who bore the other 90% of the cost? Anybody could sell at a loss if they wanted to, but clearly someone heavily subsidized those arms. In that case, could one really consider them private property? Perhaps one could legally, but as a practical matter these guns came to Kansas and remained there as instruments of the free state cause. presumed as a matter of course, and intended, that all these men should be drawn entirely from the citizens subject to militia duty in Kansas Territory. At that time-as the seat of difficulties (Lawrence), is distant some forty miles from the State line of Missouri-it never for a moment occurred to me that the citizens of that State would cross into Kansas or volunteer their aid to carry out her laws. Shannon reads as genuinely surprised here. Missouri managed to reach a hundred or more miles into the territory for the Assembly elections back in March, but Shannon missed those. He might not have believed the stories of such things and didn’t have the Howard Report to go check up with. He might have dismissed the Branson Rescue as a local matter that wouldn’t interest Missouri. One has the sense that he, like Andrew Reeder before him, didn’t fully understand just how far off the rails Kansas had run. He could tell Pierce that they stood on a volcano, but he also told the president that he didn’t know when it would blow. After all of this, Franklin Coleman finally enters into things again. While free state Kansans generally seem more interested in harming property than people, at least compared to proslavery Kansans, the mob that sought him looks very much like they intended a lynching. Ridding themselves of Samuel Jones would make for a nice bonus. 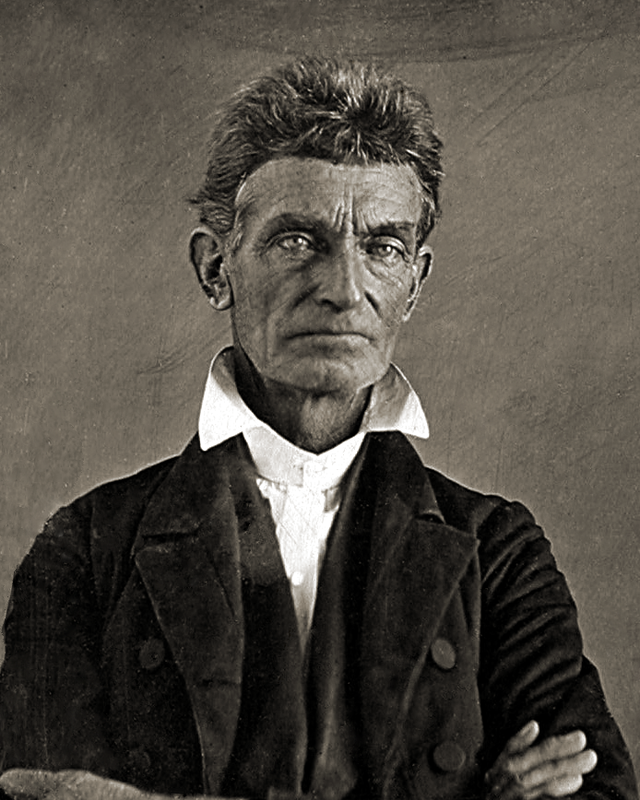 Whether or not Branson then intended to see Coleman dead, it seems clear that some of the hundred or so people rooting about for him would have reduced the proslavery population of Kansas by at least one if they came on him in the night. However much our sympathies remain with antislavery Kansans, we cannot dismiss these as light and trivial offenses. Shannon may have bungled the execution of his response and deluded himself into thinking Missourians would for once not involve themselves, but I don’t see any way he could have just let things go. He stood on the volcano either way. great danger to the peace and good order of society. I am well satisfied that there exists in this Territory a secret military organization, which has for its object, among other things, resistance to the laws by force. The Kansas Legion had military organization, at least in chapters sufficiently large, and promised essentially that. Shannon might not have known it then, but Branson served as an officer in the group. His rescues almost certainly included his comrades in arms. Shannon knew all of that for some time, as Patrick Laughlin’s revelations hit the papers a month prior and free state groups had threatened resistance of the law in martial language for some time prior. He also makes reference to “hints thrown out by some of the public journals in their interest,” which he could hardly have missed. Until the Branson affair, he understood this all as bold talk rather than a plan of action. Some free state Kansans probably agreed with him. well supplied with Sharp’s rifles and revolvers, and that they are bound by an oath to assist each other in the resistance of the laws when called upon to do so. Now that the Legion proved itself as martial as its rhetoric, he had to do something. Shannon related the story of Dow’s murder to Pierce, complete with “three to four hundred” men out to lynch Coleman. He told of Branson’s arrest in somewhat more general terms, not naming him but calling him a leader of that mob. “[B]etween forty and fifty” intercepted Jones to free his prisoner, armed with those same Sharpe’s firearms. Along the way, the proslavery families around Hickory Point, who Shannon called “law-and-order families” suffered burned houses, killed cattle, and general destruction of property to the point that all but two households fled. Helpless women and children have been forced by fear and threats to flee from their homes and seek shelter and protection in the State of Missouri. Measures were taken by the legal authorities to procure warrants against these lawless men, and have them arrested and legally tried. Those measures may include making Franklin Coleman and Josiah Hargis justices of the peace alongside Hugh Cameron. Though hardly impartial, Shannon could have expected them to know from experience where to best issue warrants.